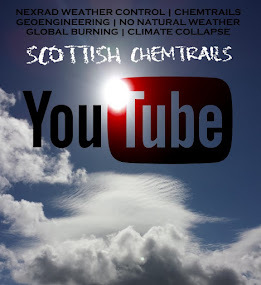 I live in Troon and today we've had the worst spraying I have ever seen. I've written to the papers and contacted all my local authority people last year with this and even handed out leaflets...But no one seems to care. I'm 49 and having worked at Prestwick Airport for many years I know that these trails are NOT NORMAL. In fact they were spraying this afternoon about 1pm again and they are still visible now.